Chrishan Fernando, Dell EMC Country Manager for Sri Lanka & Maldives. 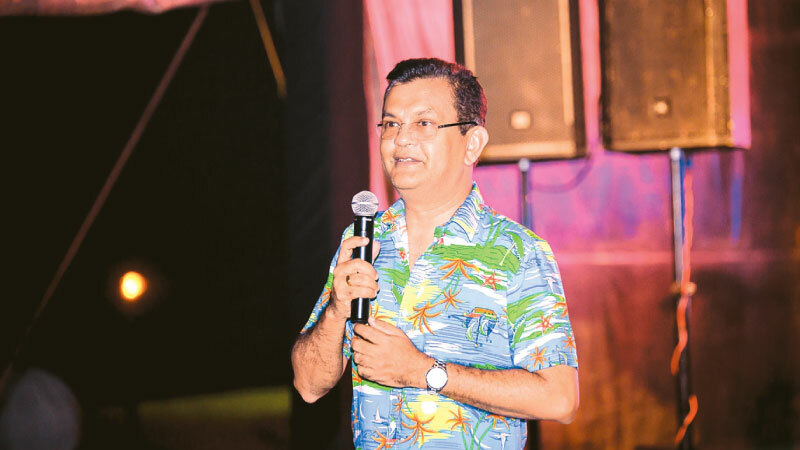 In celebration of the recent strides that the Company made, Avian Technologies (Pvt) Ltd, a leading provider of total IT solutions and a Dell EMC Gold Partner hosted a Hawaiian themed corporate night at the Mount Lavinia Hotel for its Dell corporate clients. Aptly named ‘Avian Luau Night,’ the celebrations followed the ‘luau’ festivities of a Hawaiian traditional feast accompanied by entertainment items such as traditional Hawaiian music and hula as well as traditional and renowned Hawaiian cuisine. A section of Chief Information Officers, IT Managers, Senior Managers and Mangers from Small and Medium Businesses (SMB’s) to MNC’s graced the occasion. “Our journey began with a small but a dynamic team in the year 2011 and our achievements in this short period leave us with much to celebrate. In addition to winning the Dell EMC Gold partner status we recently won the ‘Best Dell EMC Enterprise Reseller - Sri Lanka’ and the ‘Best Dell EMC Commercial Reseller - Sri Lanka’ at the Dell Power Awards. These attainments pay tribute to our service excellence, inventive approach to business and our adherence to high standards of service which in turn earn us customer confidence,” commented Buddhika Liyanage Director, Avian Technologies. Avian technologies’ Dell Division attained a significant presence in the IT industry since inception through primarily catering to the corporate sector. The team is well known across Sri Lanka for providing an unmatched level of service excellence characterized by attention to detail. Apart from the corporate office situated in Colombo, Avian Technologies reach out to the entire country through value added resellers spread across the island.